Lest you think all my children are perfect and that our house is calm and loving all the time, I thought I'd let you all in on a little secret. My children do fight! As you can see from the above picture, it happens quite frequently with the youngest two. And then the picture below of my teenage kids fighting, well arguing in the background. I think the picture is so funny, mostly because it was just accidentally caught on camera. Wow, I must agree with every point you have touched on! We have just started touching on the beginning of our teenage years with the kids, but I'm sure a house full of teenage boys will be very fun! Wishing you a wonderful weekend!! I remember having all three stages in our house, for years and years. Now we have sons and daughters in law, and grandchildren, in the mix. And the solution to fighting is still the same--everyone being washed by God's word is the best way to handle conflicts. 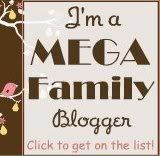 I enjoy your blog very much. My kids fight too. When they do, they have to apologize to each other. Hitting we will not aloud. Now the school year is ending. They are tired and argue a lot. I mean about everything. It makes you even tired listening to them. Reading your post about this. You said 'they have to say something nice to the other person, something meaningful' when they hurt the other one. Well I have talkt to the kids about this, first they didn't take me very serious. But in the evening, when my son said ....?!@%.. to his sister, I brought it up again. He apologized and sayd something nice to her. The ice was broken, amazing! Thanks for sharing! My seven and five year old have been bickering incessantly lately., I attribute it to summer overtogetherness! i give whoever is involved in the fight a chore to do seperately,gives them.time to cool off and bonus i get one more thing.off my list, haha, and they.must apologize. Works great since i started that. . i always tell them i dont care who started it or who did what. . u both have an option to walk away but didnt and you couldnt resolve it so now u each have a chore. they dont fight nearly half as much.